Monaco is the second smallest and the most densely populated country in the world, located on the French Riviera in Western Europe. A large part of the land mass is actually a rock upon which the ruling Grimaldi family have built their castle. The Grimaldi’s came to power almost 800 years ago when they took over a Monk fortress, and they transformed Monaco into a principality in 1338. Alexandre Noghes was a wealthy cigarette manufacturer who lived in Monaco as a close friend to the Royal Family. In 1911 he used his influence to organise the very first Monaco Rally. Eighteen years later his son, Anthony, did likewise and came up with an idea to run a Grand Prix through the streets of Monte Carlo. The layout that Anthony Noghes proposed is the same one used today, called Circuit de Monaco, and is a testament to just how popular the Grand Prix has become. Anthony Noghès and the Automobile Club de Monaco organised the first race in 1929, won by William Grover-Williams driving a Bugatti. The event was part of the pre-Second World War European Championship. In 1950 the race was included in the Formula One World Championship. In July 2010 Bernie Ecclestone announced that a 10-year deal had been reached with the race organisers, keeping the race on the calendar until at least 2020. 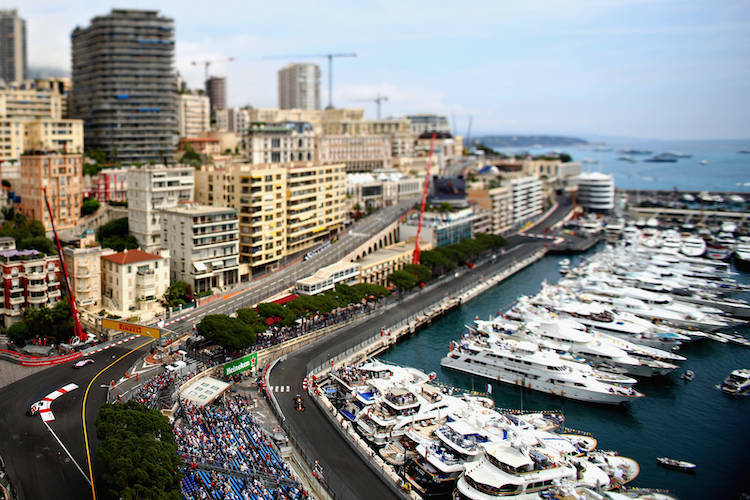 Monaco is the longest race in terms of time and if it is slowed by wet weather will go to the full two hour limit. Overtaking is near impossible and the only way to pass another car is to throw caution to the wind and hope for the best. There simply isn’t enough space to race. The fuel burn penalty at Monaco is minimal due to the low speeds and in 1997 Mika Salo finished fifth without making a single pitstop. Brazil’s Ayrton Senna has won the race more times than any other driver, with six victories, including five races consecutively between 1989 and 1993. He also achieved eight podium finishes in ten starts. 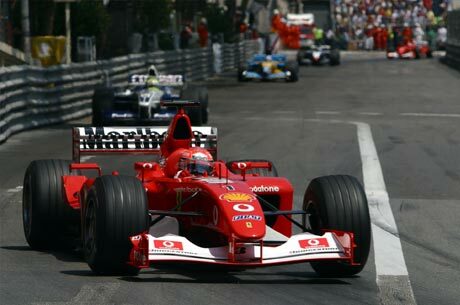 Michael Schumacher holds the current lap record with a 1:14.439, according to the official Formula One website. 1950 : As Juan Manual Fangio approached a blind corner on lap two he noticed the crowd were not looking at him in the lead, but at something on the circuit ahead. He slowed right down and avoided a massive pileup that claimed many of the drivers behind him who were not so observant. The crash was started by a wave from the harbour that splashed onto the circuit. 1965 : Graham Hill had an incident with a backmarker on lap 25 and lost the lead. 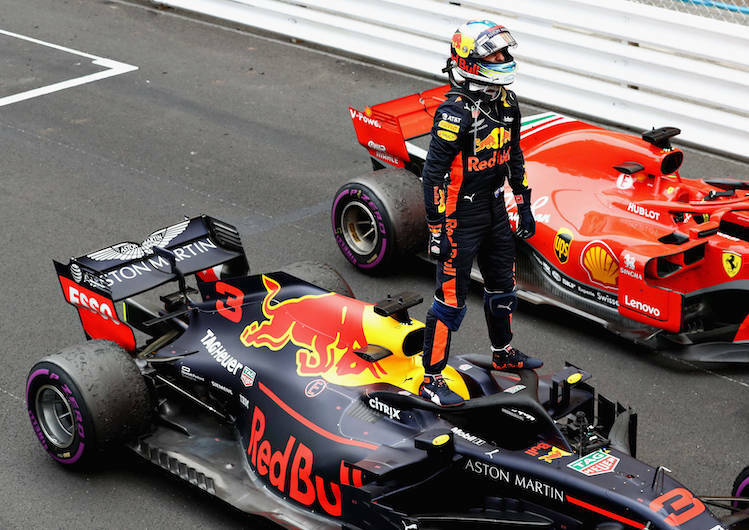 He fought back through the order to claim a dominant victory, earning the nickname Mr Monaco along the way. 1970 : Jack Brabham threw away victory in the most spectacular fashion by crashing into the wall on the very last corner of the race. Brabham had managed to avoid the barriers for almost two hours but made an awful mistake right before the finish line, handing Jochen Rindt the win. 1982 : The lead changed six times in the final four laps in one of the most exciting Grands Prix in F1 history. A late shower caught out most of the drivers in the dying stages, and Ricardo Patrese took victory despite having to bump start his car after a spin on the second last lap. 1984 : Ayrton Senna stormed through the field in a Toleman during a wet race in his first season of F1. Senna was robbed of victory when the race was controversially stopped as he passed Alain Prost for the lead. 1992 : Ayrton Senna and Nigel Mansell staged an epic battle for the lead in the final laps of the race. Mansell was behind Senna and had a much faster car, but could not get past despite trying every trick in the book. Fans the world over held their breath as Senna won by just two tenths of a second. 1996 : Only three cars finished the Grand Prix making it the smallest field to complete a race in Formula One history. Olivier Panis took the win in rainy conditions.